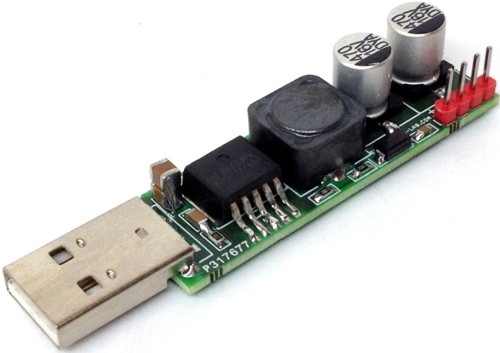 24-48V input voltage range 3A output current DC-DC Converter using BD9G341AEFJ IC from ROHM semiconductor. 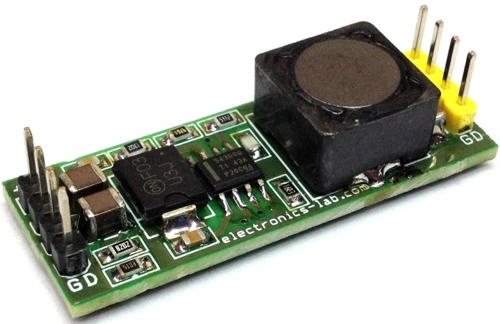 This IC is ideal for high voltage to low voltage converter with 3A output current. 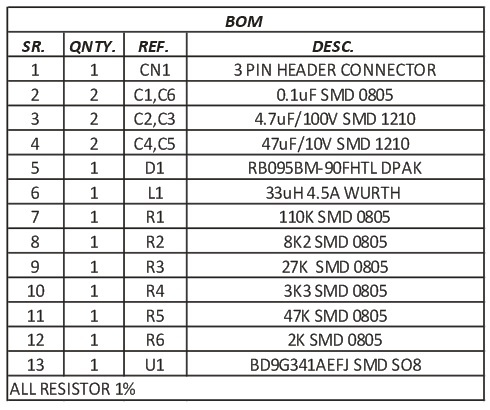 Pin configuration of the board with 3 Pin horizontal mounting of the regulator is similar to LM7805 LDO regulator and is suitable to use this IC as replacement which can provide more current and take high voltage input. Different voltage output are possible by changing few components. Refer to datasheet for the same. 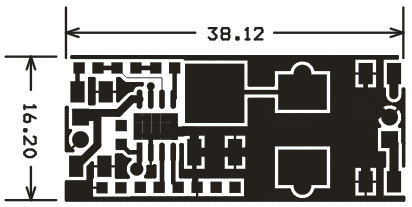 Example circuit can provide 5.1V/3A with input supply range 24-48V DC and operating frequency 200 KHz. 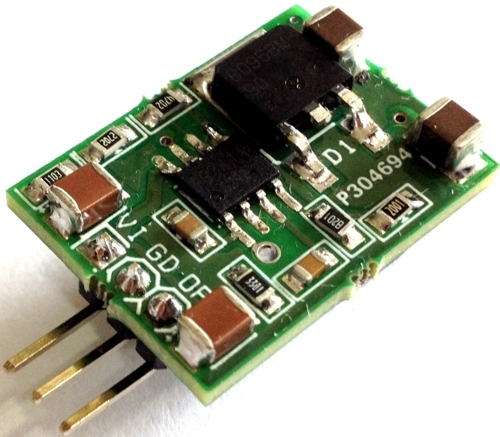 The BD9G341AEFJ is a buck switching regulator with integrated 150mΩ power MOSFET. Current mode architecture provides fast transient response and a simple phase compensation setup. The operating frequency is programmable from 50kHz to 750kHz. Additional protection features are included such as Over Current Protection, Thermal shutdown and under voltage lockout. 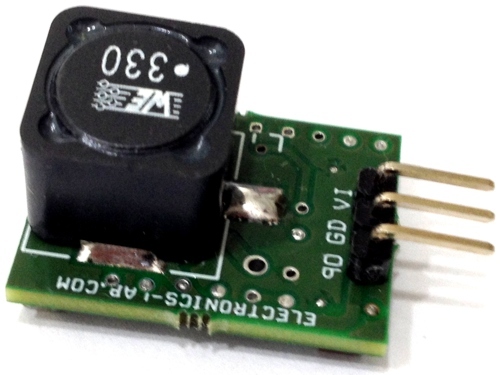 The under voltage lockout and hysteresis can be set by external resistor. 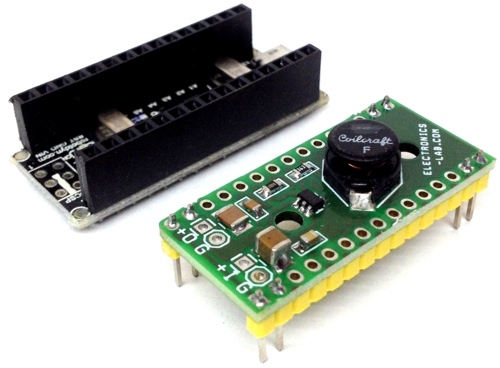 Note: Refer to datasheet to change output voltage and input voltage.